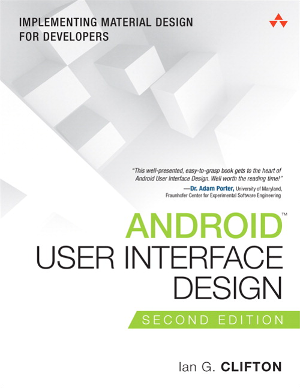 Android User Interface Design has been nearly completely rewritten in order to cover Material Design and the design process from the developer perspective. You won't need any design experience as this book walks you through the full design process from establishing goals and testing prototypes to deciding on colors and animations. It has also been updated to include using RenderScript, troubleshooting jank, and designing a complete app icon for the absolute beginner. 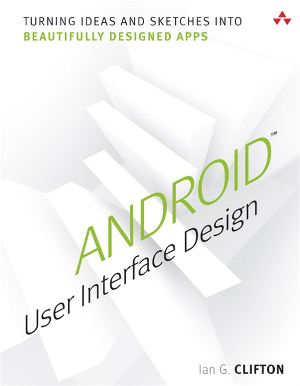 Android User Interface Design covers a wide range of topics starting with overviewing views and graphics. Multiple chapters are dedicated to the design process, helping you to establish goals, wireframes, and prototypes in order to ensure your app is designed to meet the users' needs. The last few chapters cover complex topics such as creating custom views and using PorterDuff compositing in order to create custom graphics at runtime.